Contact us for supply, support and upgrades in South Africa. 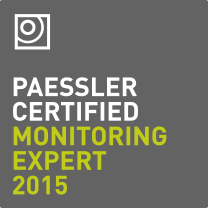 We are a Certified Sales & Monitoring Professional Paessler Partner. 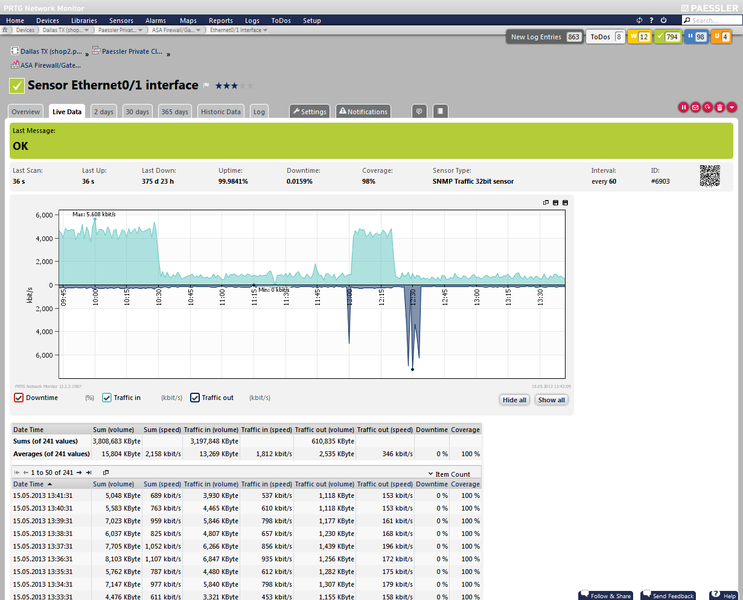 PRTG Network Monitor runs 24/7 on a Windows-based machine within your network, recording network usage parameters. Recorded data is stored in a database for historic reports. The easy to use web-based user interface allows to configure the devices and sensors that you want to monitor. You can create usage reports and provide colleagues and customers access to dashboards with live graphs and tables. 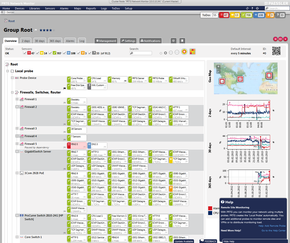 PRTG Network Monitor includes more than 190 sensor types for all common network services (e.g. Ping, HTTP, SMTP, POP3, FTP, etc. ), allowing to monitor your network systems for speed and failures. As soon as outages occur the software will alert you by sending emails, SMS, pager messages, and other notifications. Request times and downtimes are constantly recorded in the database and you can compile performance, downtime, and SLA reports at any given time.